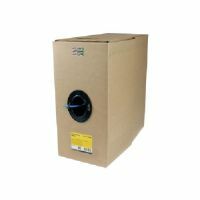 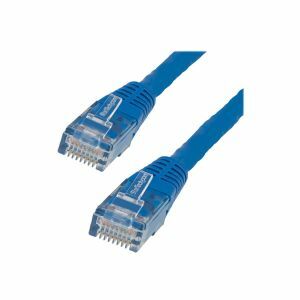 Make Power-over-Ethernet-capable Gigabit network connections. 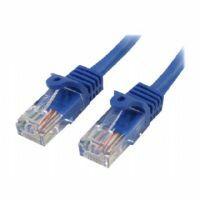 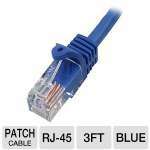 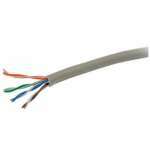 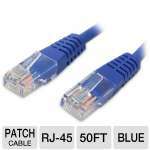 The C6PATCH100BL Cat 6 Patch Cable (100 ft) meets or exceeds all Category 6 cable specifications to ensure reliable Gigabit network connections, and features a durable blue PVC jacket that enables you to color code your network cable runs as needed. 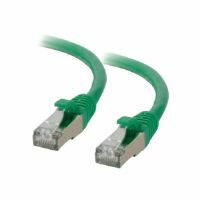 To ensure long-lasting performance, this high quality Cat 6 patch cable features molded PVC strain relief that prevents the RJ45 connector termination points from bending at sharp angles - reducing the risk of cable damage, which could decrease network performance. 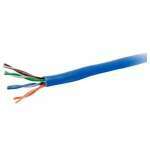 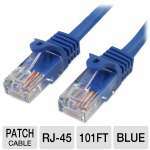 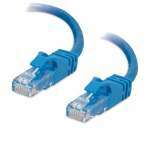 Constructed of only top quality materials, this Gigabit Patch Cable delivers reliable performance.